So…the last three games? Performances. Check. Points. Check. Beating a team that you should be beating after putting in a shift against top sides. Check. It’s been a really good week to be a West Ham fan and, moreover, it’s probably the first weekend in a long time that we can sit back and actually enjoy the results. As West Ham fans, all we ask for is a performance. We can beat Swansea & Huddersfield and we’ll take it… but if the performance isn’t there, ‘papering over the cracks’ becomes a phrase that your phones predictive text recognises all too well. But the performances have been there, topped off with oh so sweet points. I watched Goals on Sunday for the first time in ages this morning and my mood was even taken to watch the 0-0 between Brighton and Burnley because all was good in the footballing world. As a side note, Slaven Bilic will be on as a guest next week, so definitely one to watch or set to record. Hindsight is a beautiful thing and I think 99% of people (including myself!) were underwhelmed to say the least when David Moyes was appointed manager. It was a very, very difficult time for the West Ham family in general. The fact of the matter is, the children of the West Ham family, the fans, had lost a father figure in Super Slav. A gentleman that always said, and did, the right thing, he was and remains to this day, West Ham through and through. His dismissal was not without good reason, however. We were losing games in shockingly abysmal ways and scraping all too infrequent points against teams that were having off days- not because we’d outplayed them. Also, basic things like fitness just weren’t there. The West Ham fans did, and do, love Slav. He’s part of the family. Like families that are going through their troubles, though, separation can sometimes do wonders for damage limitation to relationships. It was incredibly sad to see him go but it was the right thing to do and he still has great rapport with the fans and the club. So. In this state of mourning, a new man walks in. It all feels a bit fast. Will he be good enough for ‘My Club’? He’s an outsider, not a West Ham man. His stock has fallen greatly from a promising past to a less than mediocre present. He doesn’t cut an inspiring figure. At least somebody like Alan Pardew would have known the club, does well in six months and brims with more confidence than a party fountain does with chocolate. Instead, we’re left with this guy who has a past and is looking to heal from his own experiences. Brilliant. Just Brilliant… But the club likes him and if the club is happy, then we must get behind the club. He’s not our father figure. Moyes is our stepfather figure. So, weirdly, what started off as a light hearted way of creating an analogy has become almost deeply psychological. Basically, let’s not be hypocritical about this, Moyes was indeed the best of an uninspiring lot. That doesn’t mean he is without merit though. I for one never predicted that he’d be exactly what we needed for getting the team fit. I did know he was a manager who likes to organise his teams defensively but I didn’t know he also likes fast and quick passing football. From what I’ve seen so far, he’s far from a long ball merchant. I guess what I’m saying is that (again with the benefit of hindsight) it was always going to be difficult for somebody out of work who didn’t count as a top, classy manager to come in and be accepted. Heck, Pardew was my six month choice as you’ve probably guessed but I understand how many had their reservations about him too. Whatever has happened in the past, Moyes is part of the club for the moment. He is our Step-father figure. It’s taken a few weeks for him to settle in but (hindsight!) that’s okay as we’ve built fitness and gotten used to his new tactics. He’s an outsider, yes, but that doesn’t mean he doesn’t want what’s best for the club and won’t work his nuts off. Also, unlike one survival manager we’ve had, he doesn’t make it all about him. 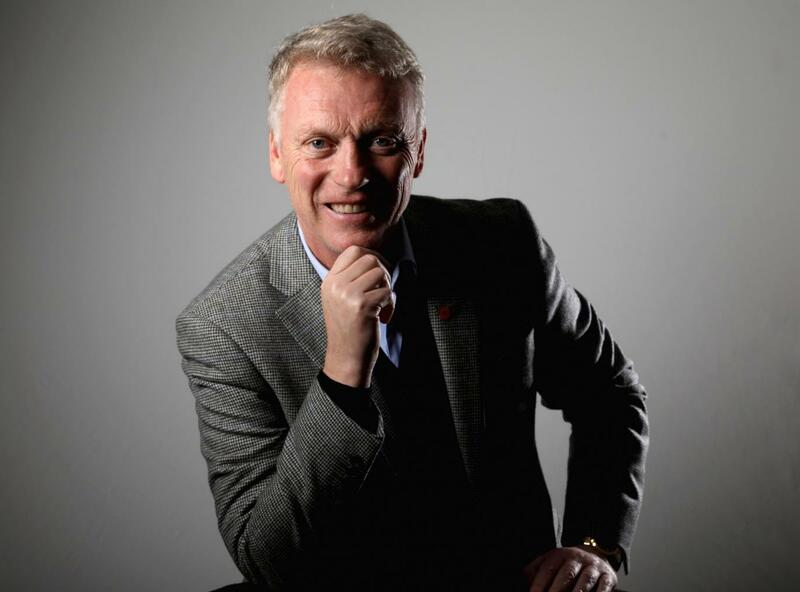 It’s not the ‘David Moyes Show’. He hasn’t sought to pour honey into our ears, either. It’s nice when managers acknowledge the fans but we’ve been fed so many sickly sweet promises and so much false positivity of late that it’s nice to have somebody who wants to get on with the job, back our players and not make a fuss. The two wins and a draw have really put us back on the right track. Who knows, maybe this could be the start of a beautiful relationship?